Sideways oil and gas markets don't mean that investors can't find good upside opportunities and get paid while they wait for more exciting times. Michael Peterson, managing director and senior equity analyst at MLV & Co., tells The Energy Report why upstream MLPs offer stability and continued growth and which names stand out from the crowd. The Energy Report: Oil prices have been stuck in a $10-trading range in recent months. What are you predicting in the foreseeable future, and how does that affect your outlook for the companies you cover? Michael Peterson: We expect range-bound crude prices through 2014. We're forecasting a Brent price range of $100–120/barrel ($100–120/bbl) and $85–105/bbl for West Texas Intermediate (WTI). 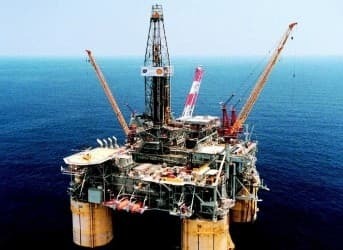 Demand should see incremental growth over these two years of between 1–1.5 million barrels per day (1-1.5 MMb/d) based on consensus gross domestic product (GDP) estimates, which approximate 3.5% growth per annum globally. In our view, supply will be the primary driver of crude prices near term. We expect continued growth from non-OPEC producers, namely the U.S., Canada and Brazil, will have a moderating effect on prices. OPEC intervention, primarily from the Saudis and other Gulf Cooperation Council (GCC) OPEC members, will limit downside price action by balancing the market with OPEC output adjustments. Geopolitical unrest and the corresponding risk of supply interruptions are likely to persist. That will support the bull case and sustain continued volatility within crude. What this means for energy equities is that absent top-line commodity price driven revenue gains, near-term performance in 2013 and 2014 will likely depend on execution, cost control and economies of scale. We believe that stock selection will be the key to performance over the next couple of years. Acquisitions are a key driver of growth within the stocks that I cover in the upstream MLP subsector. We believe that the subsector holds a competitive advantage in flat to bearish market environments simply because they are buyers of assets at a point when other market participants are often compelled sellers. TER: What's your view on the current status of the Keystone Pipeline situation and how that might ultimately turn out, given recent news on the Arkansas spill and Canada's position on the issue? MP: I don't really think it's a question of if Keystone and similar infrastructure projects will be commercialized, but rather when. Sanctioned oil sands projects underway in Canada are poised to add 1–1.5 MMb/d within the decade, pushing total Canadian production above 5 MMb/d. At the same time, U.S. production continues to grow. Within the last five years, we've erased decades of declines. Higher crude production volumes in North America will require incremental infrastructure. That build-out will take time and there are a host of various constituencies involved. The recent incident in Arkansas is regrettable, especially if it could have been prevented through better infrastructure, procedures or oversight. It's important to note that it isn't possible to manage away all of the underlying risks in our business or in any business, for that matter. TER: If Keystone gets delayed for longer than people expect, will that affect the Upstream MLP companies you follow? MP: I think it will. It's a dynamic system, as you know. Delaying infrastructure buildout in one part of the system will redirect pressure to other parts of the system. Further delays of pipeline projects like Keystone could, for example, serve as a catalyst for additional investment in crude-by-rail terminals in Canada, even though transport by rail is not as cost effective as transport by pipeline. I think these dynamics will have a direct effect on various participants within the MLP subsector. Given the projected growth in North American energy output, we think MLPs are attractively positioned in this environment from an investor's perspective. Within the sector, however, we do expect each sub-sector will present different near-term growth profiles. For instance, Upstream MLPs are well positioned in our view, as are terminal and tank and natural gas liquids (NGL) processors. In the longer term, long-haul pipelines will surely be in a position to grow but perhaps less so near-term. TER: What other sorts of volatility factors could have significant impact on the Upstream MLPs you follow? MP: Offsetting the tax benefit of becoming a limited partner in an MLP is a relatively burdensome amount of tax work that scares off a number of otherwise interested institutional investors. As a result, retail holders dominate holdership of most MLPs. This tempers liquidity and contributes to a degree of fickleness in price action. For buy-and-hold investors, this volatility is a minor consideration, providing opportunistic windows for position entry and exit. TER: How do you feel that Upstream MLPs are going to perform relative to the other MLPs in the current market environment? MP: The outlook for the domestic economy is lukewarm at best. If we stay between risk-averse contraction on the downside and inflationary growth on the upside, demand for yield-focused securities is likely to remain strong and upstream MLPs should function very well in this environment. We believe there's a secular shift underway within energy, wherein integrated oil companies and large-cap exploration and production (E&P) companies sell mature E&P assets to Upstream MLPs. These assets are ideally suited for upstream MLPs but fall below the returns thresholds of C-corp producers. If our thesis is correct that strong demand for yield will continue, as will exponential growth in upstream MLP assets, we think this combination may result in a perfect storm for the performance of upstream MLPs. How much of an advantage do upstreams have over the other MLPs that are involved in the other segments of the distrTER: ibution business? MP: The growth opportunity for upstream MLPs significantly outpaces that of other MLPs, making the sub-sector particularly attractive in our view. The sub-sector delivers higher yields than other MLP subsectors; however, it is important to note higher yields are a requisite of higher operating risk and more limited cash flow visibility. We view the return/risk proposition of upstream MLPs as compelling. Upstream MLPs have done well this year, posting 12% market appreciation year to date (YTD) and delivering an annualized yield of just over 8%. Within the subsector, there has been quite a wide variance in terms of YTD performance, ranging from minus 7–36% and yields ranging from 5.9–11%. This variance can be attributed to strategic merit, tactical execution, sentiment and, of course, a component of luck. This is still a stock-picking environment. TER: You cover 14 upstream MLPs. As you said, some are doing better than others. What causes the variance in performance? MP: Positioning, probably more than anything. I think strategic clarity is the first filter that I would look to in terms of stock performance. After that, execution is a central driver of value creation. Lastly, sentiment matters. Many times companies are in a position where the fundamentals are delivering just fine, but it takes some time for the market to recognize that. TER: In looking at your coverage list, you have "Buy" ratings on six of those 14 companies. Tell us why you think they are Buys at this point. MP: I'll start with Legacy Reserves L.P. (LGCY:NASDAQ). Legacy has a vast footprint within the Permian basin, the result of many years of highly economic acquisitions of small-scale mom-and-pop acreage positions. Because the partnership has reached a scale where it would be challenging to screen, negotiate and execute a sufficient number of small deals to sustain growth, Legacy has shifted its focus to larger asset packages. Due to the breadth of the partnership's operations across the Permian basin, Legacy not only has numerous opportunities to aggregate its position, it also benefits from real-time operating data with which to evaluate asset packages. We look for Legacy to prosecute its strategic advantage in the asset markets to optimize its position in the Permian basin. Atlas Resource Partners L.P. (ARP:NYSE), which is the second-youngest partnership within the subsector, just passed its first anniversary a few weeks ago, yet it is priced at the third-lowest yield within the subsector. Atlas is run by the same management team that successfully built and then sold the first iteration of Atlas Energy L.P. (ATLS:NYSE) for $4.3 billion ($4.3B) to Chevron Corp. (CVX:NYSE) in 2010. Management has issued aggressive growth targets for 2013, and based on its current yield, the market is giving them a lot of credit for reaching these goals, likely due to its past success. If 2013 unfolds as we envision, Atlas is poised to deliver year-over-year (YOY) distribution growth approximating 43% with unit performance likely to follow. The third name I would like to mention is Mid-Con Energy Partners L.P. (MCEP:NASDAQ), which is perhaps the best-positioned stock within the peer group. It is focused on secondary oil recovery, using water injection to extract additional oil from fields that have exhausted their ability to produce via conventional methods. Secondary recovery requires the specialized operating skills that Mid-Con has and the company is well positioned to increase market share within this growing niche of oil production. Notably, because of its oil weighting, Mid-Con has by far the widest per-unit margins within the peer group. Next, I'd like to mention QR Energy L.P. (QRE:NYSE). QR trades at a current yield of 10.8%, the second highest in the peer group, and more than 200 basis points above the subsector average. We believe the market is pricing in more risk than QR's fundamentals merit. We upgraded the stock in November based on four factors. First, we saw improved visibility for growth. Second, we saw revenue security via an enhanced hedge book that now extends coverage into 2018. Third, we saw margin expansion, as a function of effective cost controls combined with a more oil-weighted portfolio resulting from merger and acquisition transactions. Finally, we saw valuation reflecting improved risk-reward. We continue to believe these four factors will drive the de-risking of this name during the coming quarters, with yield compression and corresponding unit appreciation to follow. 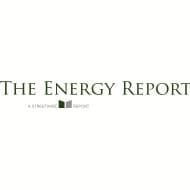 BreitBurn Energy Partners L.P. (BBEP:NASDAQ) is in the midst of a multiyear expansion. It entered 2013 with an improved balance sheet, larger portfolio and greater visibility for distribution growth. Building on its initial foray into the Permian basin with a non-operated position, last year it added operating positions and we expect it will add future assets to its Permian footprint. BreitBurn is targeting $500 million ($500M) of acquisitions in 2013, and with more than $1B in available liquidity, we feel that it will be able to comfortably pursue those objectives. Last but not least, I'd like to mention Vanguard Natural Resources, LLC (VNR:NYSE). 2012 was a constructive year for Vanguard unit holders. The partnership expanded its operating base, increased the degree and tenor of revenue security, enhanced the portfolio's exposure to natural gas and, most importantly, increased distributions by 5% YOY. Our expectations for 2013 include distribution growth by way of operating efficiency gains, comprehensive hedging and accretive acquisitions supported by ample capitalization. TER: Are there any particular factors you'd like to highlight for investors in this sector? MP: I would highlight three elements. First, investors should have views on the macro outlooks for energy commodities, namely oil, natural gas, NGLs and refined products. The second factor would be clear visibility on drivers of value creation. The third, and arguably most important, would be an understanding of risk on both an absolute and a relative basis. The combination of those three factors will enable investors to make prudent decisions. TER: Do you see any sort of merger or takeover activity among Upstream MLPs? MP: I don't expect there to be any mergers among upstream MLPs. Certainly, acquisitions are a core piece of the Upstream MLP business model. The business model is predicated on growth, and growth is driven largely by acquisitions. We expect the pace of acquisitions realized in 2012 to continue if not accelerate in 2013. TER: So basically they're all acquirers but not likely to be acquired by somebody else. MP: Because of the partnership structure, which is a little bit more constraining than a C-corp structure is, it's unlikely that they would be acquired. It's more likely that they will be the acquirers. We saw Linn Energy LLC (LINE:NASDAQ) acquire Barry Petroleum Company (BRY:NYSE), marking the first acquisition of a C-corp by an MLP. TER: What should investors be most concerned about at this point? MP: While no one has a crystal ball with which to view the future, it's my strong belief that the opportunity set within energy from the perspective of reward versus risk merits investors' time and attention. They'll be well rewarded in doing so. TER: Thanks for taking the time to share your thoughts with us today, Michael. MP: I appreciate your time and interest as well. Michael Peterson is a managing director and senior equity analyst on the MLV & Co.'s energy and natural resources research team and has over 15 years of experience in the energy and commodities markets. Prior to joining MLV & Co., Peterson covered integrated oil, refining and exploration and production equities for International Strategy & Investment Group, Morgan Stanley and SunTrust Robinson Humphrey. He also traded commodities for Duke Energy and equity index futures and options at the Chicago Mercantile Exchange for Prudential Securities. Peterson holds a Master of Business Administration from the University of Chicago in international finance, a Master of Science from the Illinois Institute of Technology in financial markets and trading and a Bachelor of Arts from the University of Denver in political science and economics.